We have an array of mobility solutions like City and Intercity buses, Bus and Car rentals, Employee Mobility and school bus services, Hop on Hop off city sight-seeing services, Corporate MICE movement, Individual and group tours. We understand our customers and can predict their needs very well, thanks to our vast experience of 30 years. Today, we operate around 1200+ vehicles of different categories. Public transportation improves the quality of life in communities across the country by providing safe, efficient and economical service. It also serves as a vital component necessary for a healthy economy. Public transit not only benefits the people using it but also society as a whole. 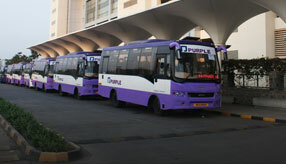 Purple’s City-Bus business on Public Private Partnership (PPP) basis is spread in various cities across India. These operations are conducted in partnership with the local authorities of respective city and can be broadly divided into 2 types of models from Investment and Revenue risk point of view:We carry more than 240 Million Passengers by our city buses and 1.5 million passengers on intercity buses per annum. 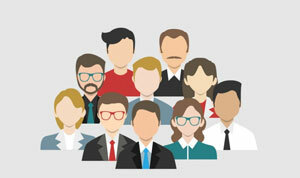 We maintain a very high level of service standards and to achieve this we train our staff with various profiles for at least 52 hours per year. 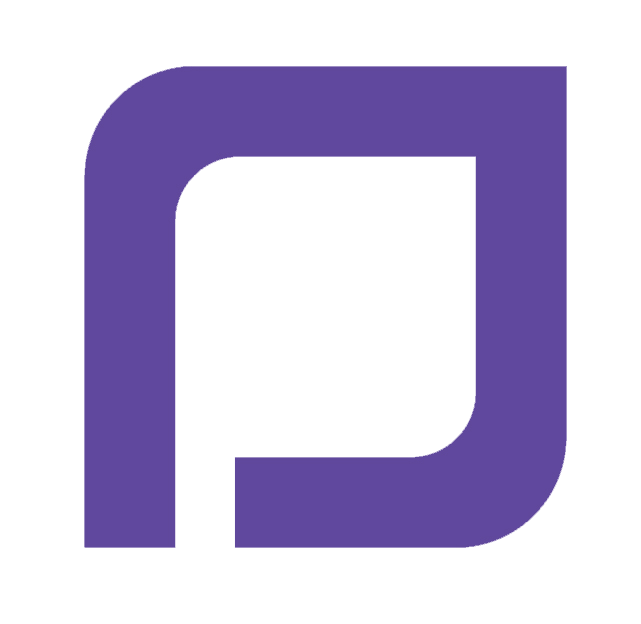 We are very sensitive to environment, health and safety related issues and these issues are always a priority in Purple’s Business Agenda. Purple has become a member of Global Passenger Network (GPN) in 2016, the first company in India to be a member of this prestigious organization. 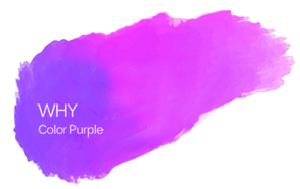 Why Travel With Prasanna Purple! We have an array of mobility solutions like City We have an array of mobility solutions like City. To be people’s chosen brand universally, in mobility solutions, by serving beyond their expectations for every journey whilst adding value to all stakeholders and society at large. Prasanna Purple holds a strong history of over 30 years in Passenger Mass TransitOperations and a pioneer in Mobility Solutions in the country. 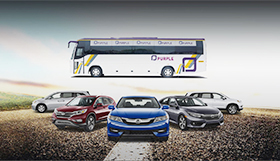 Prasanna Purple offers an array of Mobility Solutions like City and InterCity buses, Bus and Car rentals, Employee Mobility and School Bus services, Hop-on Hop-off City Sightseeing services, Customised Individual and Group tours to travel within India and abroad, MICE within India and abroad. Today, Prasanna Purple operates 1200+ vehicles of different categories and carries 240 Million Passengers by City buses and 1.5 million passengers by Inter City buses per annum. Our capability includes; Planning, Designing of routes, Schedule matrix, Frequency, Training of crews, monitoring the performance of buses and overall management of Citybus operations with the use of modern technological tools such as, Vehicle Locator Device (VDL), Intelligent Transport Systems (ITS), Passenger Information System (PIS), and web based Video Surveillance Systems. As an initiative to provide integrated transport solutions to citizens, we operate Metro Feeder services for last mile connectivity in better way. 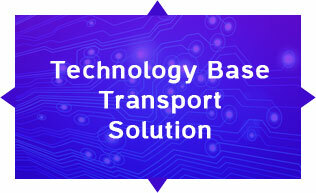 We use latest technology including a mobile app based employee transportation solutions. The technology used for Women’s Safety has been awarded and recognised by the Government of India, Ministry of Home Affairs. India’s population is growing fast, and it has created a huge demand for schools. For better and safer transport, schools provide transport facilities to students studying in their schools. Under this activity, we supply buses to schools to fulfil their requirement. 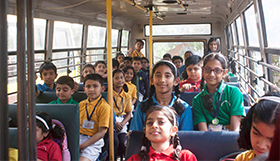 Some of the schools do not wish to take the responsibility of transportation of students with them; for such schools we provide services directly to students on payment of annual subscription. To ensure safety and security of the students on board, we use latest monitoring technology. 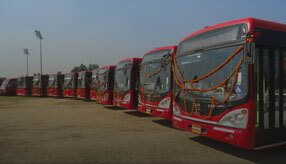 India's first Hop-on Hop-off (HOHO) was launched for sight-seeing tour service in Delhi under the flagship collaboration with Delhi Tourism in 2009 HOHO fleet comprises 14 low floor Air-conditioned buses that loops around 19 major tourist destinations and over 100 additional adjoining sightseeing spots on the route. We have started Hop-on Hop-off (HOHO) sightseeing service in Goa in collaboration with Goa Tourism at Panjim, Goa. These are Double Decker Open Top buses with well trained Tour Guides/Guest Relationship Executives (GRE) to assist every tourist on board. While on board, tourists would enjoy multi-lingual running commentary about the monuments and its history around the route. 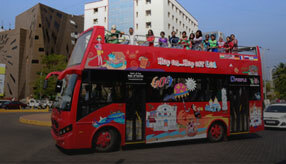 Tourists can board the sightseeing buses by buying a 1 day pass or a 2 day pass as per requirement. We offer multiple pass options to buy for families and for groups. We offer Indian and International tourism destination holiday packages to Individuals or a Families (FIT) and Groups (GIT).Our specially customized packages as per requirements and fixed date departure tours are very popular. We offer Beach Resorts to Hill Station getaways, Adventure experience to Amusement Parks across the globe. 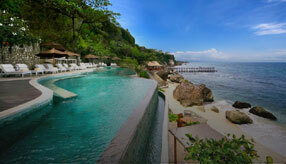 We are also expertise indesigning special interest itineraries for Architects, Real Estate Developers and Farmers. 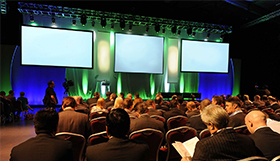 We are expertise in planning and executing MICE (Meetings, Incentives, Conferences and Events) end to end requirements. We take responsibility from initial stage of planning to pre-tour familiarization visits, booking of air seats for group members coming from various locations, offering a wide choice and arranging accommodation in one of the finest hotels chosen, all meals including gala dinners to suit to your requirements and flawless execution supporting to make your gathering a successful one. We at Purple Xperience are geared-up to provide you a safe, comfortable and seamless end to end tour arrangement to visit Ramoji film City. We ensure a comprehensive event, fun-filled entertainment and offer an experiential journey into the celluloid world, an interactive infotainment, colourful shows and a host of Multi-Cuisine Restaurants in Ramoji Film City. We assure you of the best experiential tour to Ramoji Film City while on board with us. With our focus dedicated to corporate client’s requirements, we customise tour packages for large groups to suit to their requirements. We served as an official travel partner for Indian Cricket Team, catering their entire logistics during International matches. We have had an honour of becoming official travel partners for many international sporting events including the Commonwealth Youth Games. We have various types of Cars and Buses to offer for hiring/rental purpose. We have a fleet of cars ranging from Small; Compact, Mid-size to full size sedans & SUV. 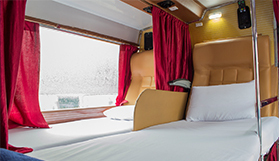 We have air conditioned, non-air conditioned buses in seating capacity right from 13, 18, 28, 35, 45, 49 to 53 seats etc and similarly in luxury to super luxury segment. Our commitment is to provide timely, transparent, efficient services and that has helped us grow with many repeat customers. Our vehicles are hired for Corporate Events, Family Functions, Airport Transfers, Weekend getaways etc. We ensure regular training on Safety, Security and other important aspects like emergency evacuation procedures etc to our vehicle drivers. In 2016, Prasanna Purple Mobility Solutions is the first company in India to become a sole member for India of the Global Passenger Network. GPN member offers High Quality Motor Coach Service for Group Transportation Needs around the World. 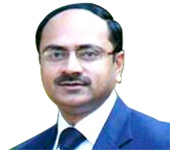 Shri Prasanna Patwardhan, the present Chairman & Managing Director, has been instrumental in not only consolidating the group activities, but also taking the group to the next higher levels. As an avid sportsman in his youth, he was the captain of the Maharashtra team for the national Basketball team. Saurabh Patwardhan has been instrumental in shaping Prasanna Cargo into a rapidly emerging and highly acclaimed cargo carrier, trusted by India’s leading corporate players. After studying Management (specializing in Marketing) from Nottingham University, he joined the organization and was faced with many challenges which he dealt with head on. A third generation entrepreneur from the Patwardhan family, Saurabh is a motivated individual who infuses vibrancy into the organization with his dynamism and flair for technology. Exploring new business opportunities in India’s far flung cities, he has successfully spearheaded the company’s expansion drive. His exemplary management skills and innovative cost control measures have enabled the company to deliver competitive yet qualitative service to clients, even in a volatile economic landscape. 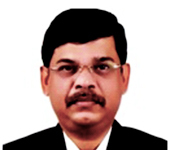 Mr. Rajeev Agarwal is a Nominee Director from Ambit Pragma fund. 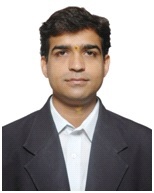 Rajeev has more than 13 years of experience across Private Equity and Sales. 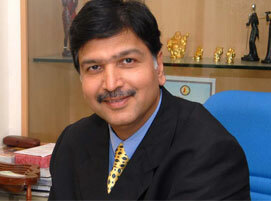 Earlier in his career, He heads the Telecom business in West India for 3Com, a global IT major. He was also the Regional Sales Head for Wipro, India's largest IT Company and then had a short stint as a research engineer with BEL, India's largest defence electronics company. Rajeev holds Masters in Management Studies (MMS) degree majoring in Marketing from University of Mumbai and B.Tech (Hons) with a Gold Medal in Electronics and Telecommunications from H.P. University. He is a voracious reader, reading everything from economics to fiction thrillers. 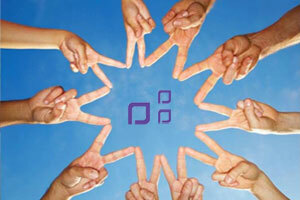 The Management Team comprises of many professionals from diverse domains and are well qualified and experienced to handle the day to day operations.Purple’s explosive growth warranted the inclusion of professionals with proven track records to carry forward, consolidate and charter new horizons of growth in the following years. Ms Kanak Jani brings with her about 20 years of experience in the finance domain.She is a qualified CA who is an expert in working capital improvement and funding, forex hedging, capital budgeting and credit risk management. 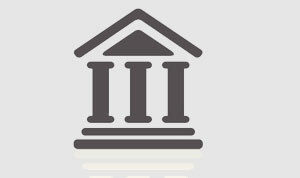 She is an expert generalist who oversees all aspects of Business Finance. A leader who consistently merges bottom-line performance, efficiently with process and profit improvisation. 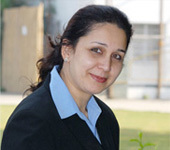 Chhaya Palrecha brings along with her more than 20 years’ worth of experience in the Finance domain. 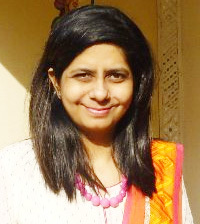 She is a Chartered Accountant (from ICAI India), CISA (from ISACA USA), and also done her Diploma in IFRS from ACCA, UK. She has led strategic finance and accounts functions of corporate entities for the last 20 years in varied manufacturing and service industries and has also served as CFO of various high growth (& venture funded) companies. Since 2015 she has been practicing as a Consulting CFO for companies with a turnover of INR 1 to 200+ crores in varied industries. She has since also been mentoring and advising start-ups for their finance and accounting systems. She is also one of the regional partners for Faster Capital, an online virtual incubator for start-ups based out of UAE. Another hat she wears is that of an “Independent director” on the board of some Indian companies. 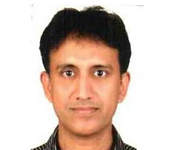 Vishal has more than 19 years of experience in Business operations and sales and marketing. He has a Master’s degree in marketing and operations and is an Arts graduate with honours in sociology. With expertise in strategic planning, sales analysis, launching new products and services, he is a dynamic leader with an extremely successful sales career. Under his leadership, his region got “Best city in India” thrice. His extensive travelling has taught him about many cultures and about the importance of adjustment and humility. 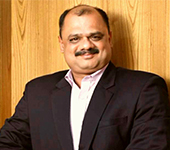 He is a very results-driven leader.His previous stints include being a Vertical head, National sales head and General Manager sales with companies like Leeway logistics limited, V link fleet solutions (Branded as MERU), Smartalk - An Essel group company, Beltron telecommunications and Sterling holidays. He has served in multiple cities like Mumbai, Chennai, Kolkata, Surat and Pune. 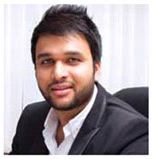 He is a dedicated and talented organizer, motivator, team player and a decisive leader with a successful track record in taking an original concept and developing it into a fully formed project which is capable of handling diverse market dynamics. 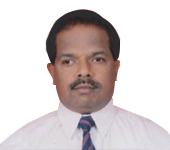 Manoj Daniel brings more than 23 years of experience to the Prasanna Group in the field of marketing. 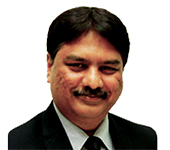 He was the Chief Marketing and Sales Officer (CMSO) for Keolis Hyderabad, the O&M partners for Hyderabad Metro Rail. Keolis is a one of the leading global public mass transportation organization, managing different formats of mass transit across 18 countries.Mr Manoj joined the FMCG industry (1991-1998) as head Marketing Communications at PepsiCo Hyderabad and later moved to PepsiCo Nepal operations where he handled the additional vertical of Business Development and Key Accounts.He also worked with Prasanna Purple as our Marketing Head for a short period of time to roll out a few city transport projects in a couple of cities in Maharashtra, Madhya Pradesh and then moved to New Delhi to support the teams which rolled out the DMRC Feeder Buses and also the first of its kind of buses, the 'Hop On Hop Off' (HOHO) city tourism buses for Delhi Tourism in New Delhi.He is an expert in Marketing Communications, Brand Management, PR and Events & Promotions. He is a first class post graduate in Business Management in Marketing and Finance. We have a relentless commitment to producing meaningful, comprehensive mobility packages aimed at conservation, alleviating the burden of energy prices on consumers, decreasing our country's dependency on individual travel, and increasing mass transportation. In the course of our operations we seek to identify opportunities to reduce consumption of energy, water and other natural resources. We also strive to re-use and recycle wherever possible and dispose non-recyclable items responsibly, thereby minimising our impact on the environment. It is anticipated that by adopting simple, environment friendly initiatives, the Organization will raise awareness amongst stakeholders and the community at large. 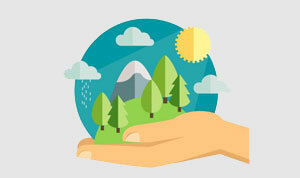 The Organization regularly reviews its environmental policy to ensure that it reflects changes in regulations and the best practices. We aim to continuously monitor and manage the impact of our operations and develop initiatives to improve our environmental footprint. 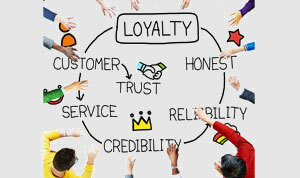 That our services are able to take care of the needs of the customers. That we offer the best quality service in the industry. Affordability of Price for the services. Quick and effective settlement of Grievances, if any, of the consumers. Proper working conditions and welfare amenities. 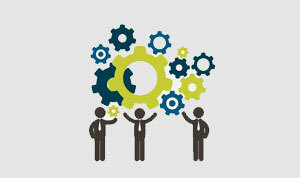 Opportunity for better career prospects and growth within the organisation. Job security as well as social security like facilities of provident fund, group gratuity. Encouraging them to think and act as a team. 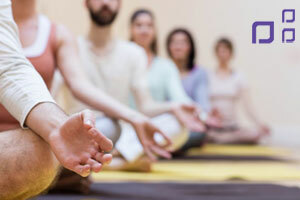 Scheduled training and development activities. Dealing on fair terms and conditions. Setting up units as per guidelines of government. Payment of fees, duties and taxes regularly as well as honestly. Showing restraint in implementing monopolistic and restrictive trade practices. Conforming to pollution control norms set up by government.